Where else in the Maritimes can you toss a hammer, a caber (more on that later!) or even a 22 lb Braemar Stone (you heard right!) than in Fredericton!! 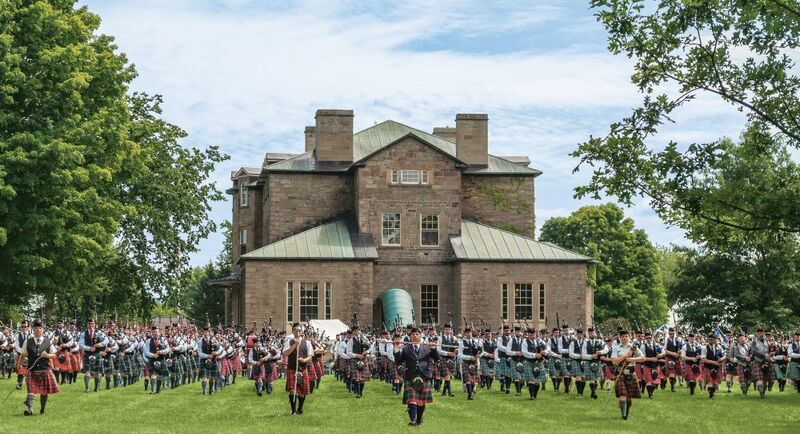 The NB Highland Games is back July 27-29 at Government House. Also new this year is an off-site location, the Lunar Rogue, on Saturday evening at 8pm. Enjoy the Celtic/Maritime sounds of “The Neighbours” while perhaps sipping on your favourite whisky! Check the Highland Games website for a full listing of musical entertainment. The heavy athletics competition has always been a favourite at the Games, and this year is no exception, the most popular being the Caber Toss. You are probably wondering what the heck is a caber…it’s actually a Scottish name for a wooden pole. Competitors grab the tapered end of a 19 foot caber and the goal is to toss it as hard as humanely possible so that it lands end to end, as straight as possible. Sound difficult? Yup! Click here to get the scoop on the heavy events. If you love the sound of the pipes and drums you need to visit Parade Square on the grounds to catch the Piping and Drumming competitions. The sound of bagpipes never fails to bring me goosebumps! Pipe bands from across Atlantic Canada, Maine and Ontario will be there to entertain you! One of the most watched and anticipated events at the NB Highland Games is the Massed Bands. This is probably the most recognizable symbol of the Highland Games; the sound of the pipes and drums marching together “en masse” is a sight that you don’t want to miss. Over 10 pipe and drum bands from Atlantic Canada will be participating during the Saturday Opening Ceremony, then again at the Award Ceremonies and then finally on Sunday during the closing ceremony. If you don’t get major goosebumps from this, then check your pulse! Care to learn how to play the Bodhran (first finding out what exactly it is!) or the bagpipes, or learn some Scottish Gaelic? Ar ndóigh, a dhéanann tú (that’s Gaelic for “Of course you do!”) then you will definitely need to take in some workshops during the weekend. 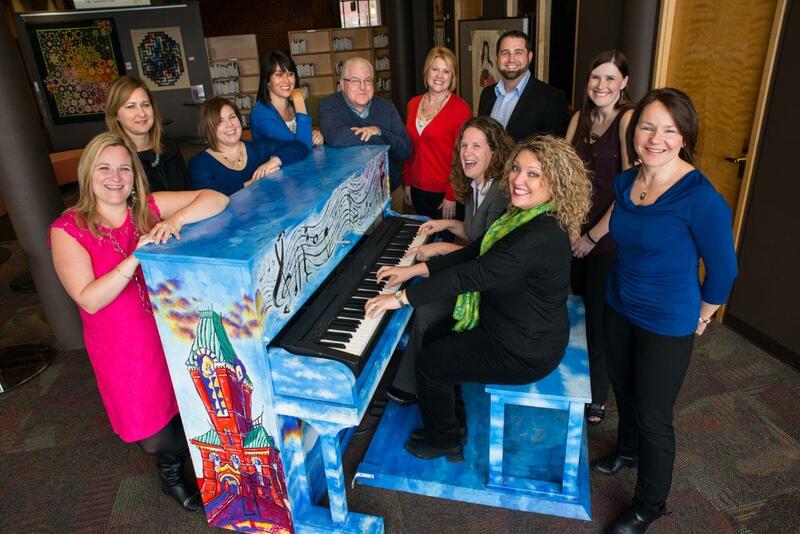 Before you know it, you will be fluent and very musically inclined! New this year is a 1700’s Clan Battle demonstration entitled “The King’s Men” in the parade square, presented by Gallus Gael Living History on Sunday. Also on Sunday, for fans of this popular Netflix series, it’s “Outlander- Facts Behind the Fiction” in the workshop tent. You can also take advantage of a FREE shuttle service on July 28 and 29th from UNB to Government House. For the full shuttle schedule, click here. Finally, there is lots of things for kids to do during the weekend with the Kids’ Corner Craft tent, and don’t forget to pick up a souvenir or two, because you’ll want to remember your visit and make a promise to yourself to come again next year! So what are you waiting for? Go on, be a Scot for the Weekend! Visit the website for a full schedule. Or find them on Facebook or twitter.